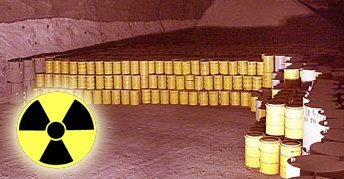 Prevent Cancer Now » Kincardine Nuclear Waste Deep Geological Repository Proposal – a bait and switch to a bigger, even riskier plan? Kincardine Nuclear Waste Deep Geological Repository Proposal – a bait and switch to a bigger, even riskier plan? Ontario Power Generation (OPG) proposed in 2007 to store about 200,000 cubic metres of containerized low- and intermediate-level radioactive wastes, in caverns to be dug in limestone about 600 m from the shores of Lake Huron, deep underground at the Bruce nuclear power station. The Deep Geological Repository (DGR) would contain wastes that pose significant health risks for millennia. Public hearings took place from September 5th to October 12th, 2013, and webcasts and transcripts are now available. A lot is at stake. The Great Lakes hold a fifth of the world’s fresh water, and provide drinking water to 40 million people in two countries. Only 1% is replaced annually through precipitation and incoming streams, so if it gets polluted it takes a very long time for dilution to “wash the toxins away.” Drier weather with global warming has brought falling lake levels, suggesting that looking ahead, the 1% estimate may be optimistic and the water is yet more vulnerable to pollution. Saugeen First Nation Chief Randall Kahgee had simple yet profound words, “for all of us, water is life.” He feels a responsibility to do everything in his power to protect the waters of the Great Lakes for tomorrow’s generations so that his children and his grandchildren won’t ask why he didn’t do anything to protect the water and air. Under the UN Declaration of the Rights of Indigenous Peoples, governments have an obligation to obtain free, prior and informed consent and Chief Kahgee vowed that without free, prior and informed consent, DGRs would not happen. Where is the proof of safety for Kincardine, to reassure the public concerned with these questions? The Precautionary Principle requires “proof of safety beforehand.” With the unpredictability of geology, the complications of the planned activities and the longevity of the wastes, it is unlikely that such proof could be provided. Is the present proposal a “toe in the door”? Recently a more fundamental question has arisen – what precisely is being proposed? Previously unannounced radioactive materials from decommissioning of the Pickering Nuclear Power Plant would eventually be headed to the DGR, approximately doubling its size. Documents filed include a Canadian Environmental Law Association request to adjourn until the full scope of the project is properly identified, rather than proceeding in full knowledge of upcoming future requests to expand the site for planned needs. Such “project splitting” is not allowed, and OPG’s actions feed fears of not only future requests to increase capacity, but also eventually to accept higher level wastes such as spent fuel. Scientific evidence indicates that there is no “safe” threshold for radioactive materials. Some such as tritium, and radioactive carbon and iodine are known carcinogens that migrate quickly in water and vapour, while many other mobile substances are not only radioactive, but may pose chemical toxicity risks as well. Exposures may be unpredictable as they can be influenced by natural geology, or other previous or ongoing activities ranging from nuclear reactor operations, and uranium mining and refining, to long range transport from nuclear disasters. For instance, Fukishima continues to release high levels of radiation to the air and water. What about alternatives, which must be considered in any environmental assessment? Several other sites in Northern Ontario and the prairies have been considered to bury nuclear waste, but currently only the Bruce site is undergoing Environmental Assessment hearings. Application of the Precautionary Principle to “out of sight” and eventually “out of mind” storage indicates that even with a low probability of disaster (and that is being debated), the scale of disastrous consequences for millions living downstream would be unacceptable. That leaves us with surface and near-surface storage facilities that may be readily monitored and refurbished as needed: the status quo Western Waste Management Facility; alternative storage systems; and most importantly waste reduction at source. The latter would include plans for a phase out of nuclear energy development and a clear planned decommissioning timeline. With no truly safe, maintenance-free options to store nuclear waste in the long term, we are imposing important responsibilities and risks on future generations without their knowledge or approval. Every day reactors continue to operate, that burden increases. Dorothy Goldin Rosenberg PhD, MES, is an education and film consultant/producer, who researches, writes and speaks on environmental health, equality, social, economic and environmental justice, peace and energy issues. She teaches Environmental Health, Transformative Higher Education, and Policy Change: Education for Social and Ecosystem Healing at OISE/UofT. She is a board member of Prevent Cancer Now, and a member of a number of other health, environmental and peace organizations. Dr. Goldin Rosendberg made a deposition at the DGR hearing. Given the degree of uncertainty and complexity attached to even the most tightly framed and rigorous nuclear risk assessment, attempts to weight the magnitude of accident by the expected probability of occurrence have proven problematic, since these essentially theoretical calculations can only be based on sets of pre-conditioning assumptions. This is not an arcane philosophical point but rather a very practical issue with significant implications for the proper management of nuclear risk. With its failure to plan for the cascade of unexpected beyond design-base accidents, the regulatory emphasis on risk-based probabilistic assessment has proven very limited. An urgent reappraisal of this approach and its real-life application seems overdue. Whatever one’s view of the risks and benefits of nuclear energy, it is clear that the possibility of catastrophic accidents and consequent economic liabilities must be factored into the policy and regulatory decision-making process. In the context of current collective knowledge on nuclear risks, planned pan-European liability regimes will need significant re-evaluation. While this document was produced as advice to the European Union, the implications are applicable to nuclear programs anywhere. 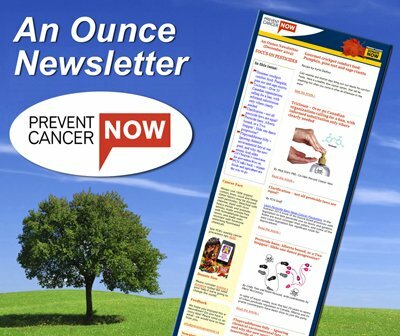 New Mobile Phone App – Prevent Cancer: 365 Daily Tips – Launched Sept 2013! PCN Asks: Why Extend Plasco Garbage Gasification Funding Deadline? What is up with Canada’s review of the health effects of radiofrequency radiation? Have your say! 3rd Annual Vineglass Quest for A Cure a Great Success!